You assemble all Langstroth beehive frames, no matter the size, in an identical manner. Follow these instructions for each frame you put together. The configuration of frames is much like a picture frame: a wooden rectangle, with something displayed in the center. The frame firmly holds a sheet of wax foundation and enables you to remove the panels of honeycomb for inspection or honey extraction. Never paint your frames. Painting can be toxic to your bees. Always leave all interior parts of any hive unpainted, unvarnished, and all-natural. Place the top bar on your work surface with the flat side facing down on the table, and then take two side bars and insert their wider ends into the slots at either end of the top bar. Putting together frames can be monotonous, but the assembly is faster and more enjoyable if you use a frame jig. Insert the bottom bar into the slots at the narrow ends of the side bars. The kerf cut is oriented to be within the frame assembly (the kerf is used to hold the foundation in place). Make sure the frame assembly is square. Use your carpenter’s square to confirm. Nail all four pieces together using a total of eight 1 1/8 inch nails per frame (two for each end of the top bar and two for each end of the bottom bar). In addition to nailing, glue the parts together using a weatherproof wood glue. Frames take a lot of abuse, and you want them as strong as possible. Apply a thin coat of glue wherever wooden parts come together. 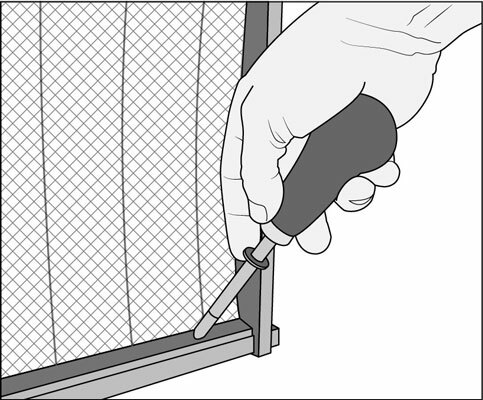 Hold a frame upright on the table and drop the flush end of a sheet of foundation into the kerf of the bottom bar, and then coax the other end of the foundation (with the bent wires) into the space where the wedge bar was removed. Turn the frame and foundation upside down (with the top bar now resting flat on the table) and adjust the foundation laterally so that equal space is on the left and right. Repeat Steps 1 through 6 until you’ve assembled all your frames before you move on to Step 8. 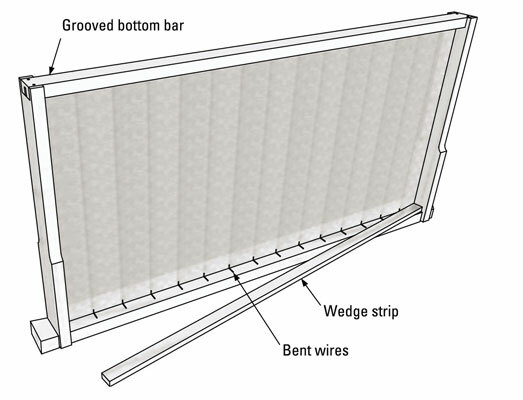 Place the wedge strip that you removed earlier to its place, sandwiching the foundation’s bent wires between the wedge strip and the top bar (see the figure). With a hammer (or better yet, a brad driver), use 5/8 inch brads to tack the wedge strip to the top bar (see the following figure). Start with one brad in the center and then add one brad at each end of the wedge strip (three brads total is sufficient; you don’t use glue with the wedge strip). 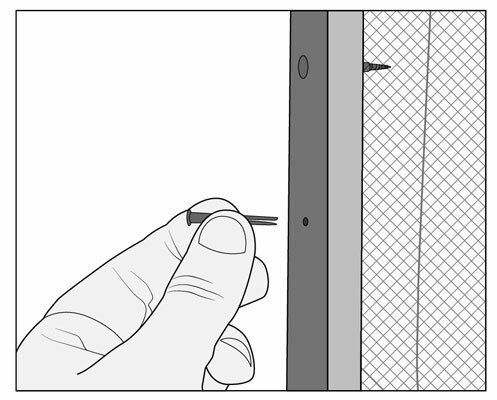 Use support pins (they look like little metal clothespins) to hold the foundation securely in place (see the detail in the following figure). The pins go through the two predrilled holes on each of the side bars and pinch the foundation, holding it in place. You use two pins on each side bar (four pins per frame). You simply insert these by hand (no special tool is needed).